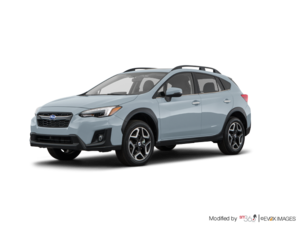 The Subaru Crosstrek has evolved over time and has even changed names, but what hasn’t changed is its ability to provide customers with the best of both the SUV world, and the car world. In simple terms, the 2019 Subaru Crosstrek behaves like a car and is agile like a car, but it has the go anywhere and carry everything ability of an SUV. For buyers who lead an active lifestyle, that want space, that want to be able to tackle anything the road throws at them but don’t want to have to pay the price of high fuel consumption and heavy handling, the 2019 Crosstrek is the perfect option. The 2019 Subaru Crosstrek may be a versatile vehicle, but that does not stop it from being fun to drive. In concrete terms, we do not have the impression of driving a sport utility vehicle, we rather feel like we drive in a compact car even if there is a huge cargo area behind us. Speaking of a huge cargo area, the 2019 Subaru Crosstrek really stands out when it comes to interior space and overall versatility. It offers with all the seats in place nearly 600 liters of space while with the rear seat lowered, interior space climbs to more than 1,500 liters for luggage in the trunk. There’s nothing you won’t’ be able to fit inside the Crosstrek. 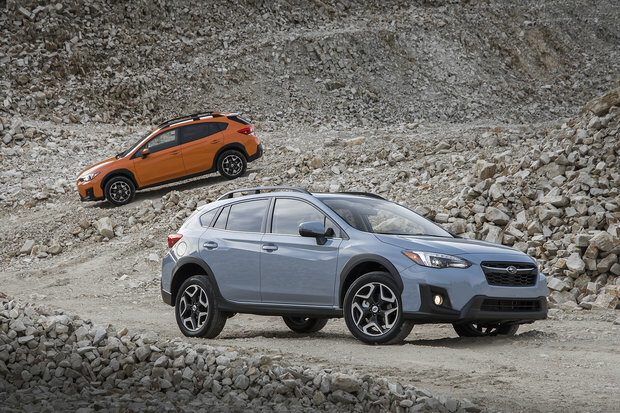 Both spacious and intelligently designed, the new Crosstrek has it all. 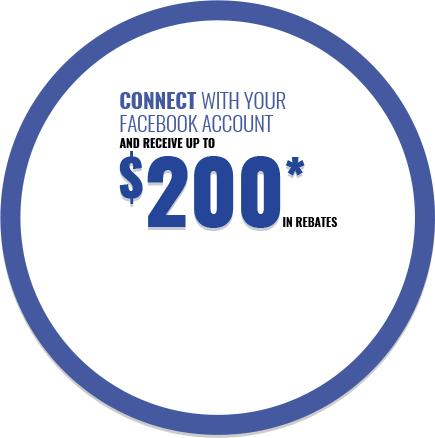 Available at less than $25,000, the Subaru Crosstrek is one of the most versatile models in its price range. It's not just the space in the trunk that makes the Crosstrek so interesting at this price point. Regardless of which model you buy, the Crosstrek comes standard with all-wheel drive as standard and a host of connectivity features as well. It is also possible to add the EyeSight safety suite of active safety features as well. In short, the 2019 Subaru Crosstrek may be affordable, it remains packed with equipment and features. 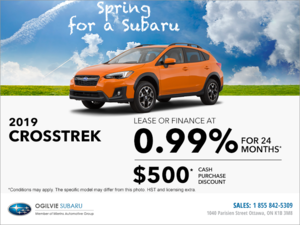 To learn more about the new 2019 Subaru Crosstrek, contact us today at Ogilvie Subaru!